Corey Adams was born into a military family in Champaign, Illinois. After a few moves, and relatively early in his life, his family ultimately settled down in Wichita, Kansas. Being born into a military (and Italian) family, Corey learned early the meaning of respect and dedication. As a Bar Plan Foundation Scholarship recipient, Corey was recognized as exemplifying high standards for ethics and professionalism as a law student, and he strives to maintain those high standards in his practice. 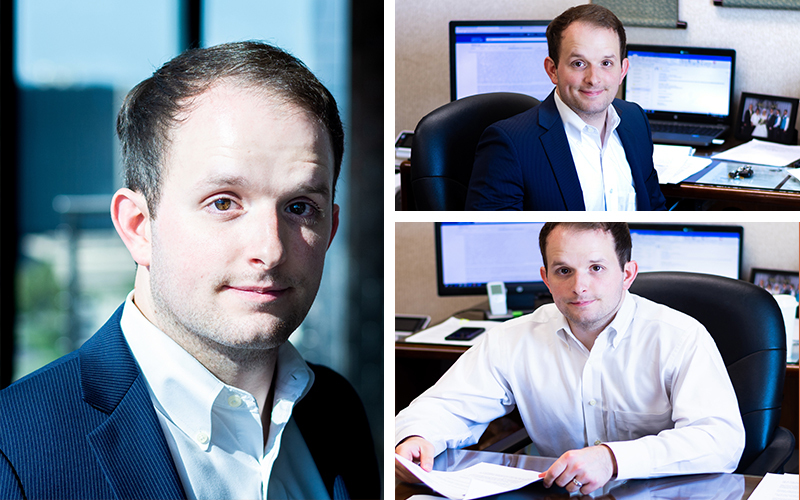 Corey endeavors to provide value to his clients in all aspects of his practice of law, but emphasizes strong client communication in order to meet his client’s goals. Corey has a beautiful wife, Yuheng, and two wonderful sons, Luca and Mica. He has a passion to travel and enjoys exploring the globe with his family. While in Wichita, though, he enjoys trying to find hole-in-the-wall restaurants around town with his family, movie dates with his wife, playing and watching sports, and participating in church and outreach activities. If you can fill the unforgiving minute with sixty seconds’ worth of distance run, yours is the Earth and everything that’s in it, and—which is more—you’ll be a Man, my son!